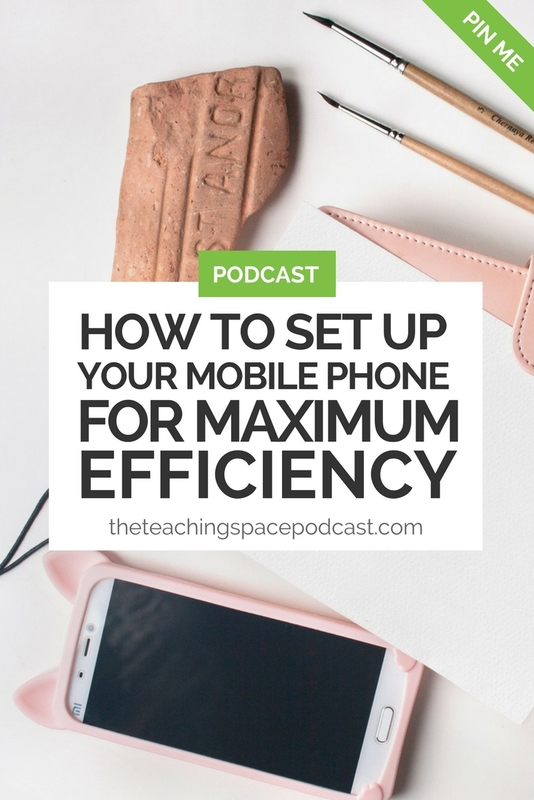 Episode 17 of The Teaching Space Podcast explores how you can set up your mobile phone for maximum efficiency. Welcome to the Teaching Space podcast. Coming to you from Guernsey in The Channel Islands. Hello and welcome to Episode 17 of the Teaching Space Podcast. It's Martine here. Thank you so much for joining me. In this episode, I'm going to talk to you about a subject very dear to my heart and that's productivity. In particular, we are going to focus on how you can set up your mobile phone so you are the boss of it and you use it on your terms and it isn't the constant distraction that I suspect it probably is for you right now. Teaching is such a busy job and I think it can become easier to manage if we are in charge of our time. And I think managing your mobile phone in an appropriate way very much forms part of that. Incidentally, talking to you about my mobile phone setup is quite a visual thing so I have also recorded a companion video for this podcast episode which you can find here or watch below. Just to give you a bit of context I use an iPhone. I have at the moment an iPhone 7 Plus so it's quite big but that doesn't make a great deal of difference to how I've got it set up. The first thing I would recommend you do is to select a wallpaper and a screensaver image that when you look at it makes you feel relaxed. So for me, that's something very plain, lots of white space. My current picture is a pen and a clipboard if I remember correctly. Choose your screensaver image and your wallpaper image really carefully. What I tend to do is use one of my favourite free photo websites. These are photographs you can use without attributing the photo to the photographer. So something like unsplash.com. If you hop over there and have a look you'll find a photo you'll really like and use the same one for your wallpaper and your screensaver. The next step is to remove all of your apps from your home screen. Send them to your second screen. Yes, you heard me right. No apps on your home screen. You've got a little bar along the bottom of your iPhone where you can keep a few frequently used apps so you can keep that. For me, I've got there my Gmail app, my Google Chrome browser, my phone app and my Google calendar. So they are along the bottom but otherwise nothing on that home screen. When you pick up the phone you just see that beautiful image and a couple of apps along the bottom. On that second screen, so when you swipe to see the next screen, set up one folder and put all of your apps in there. While you're putting your apps in there, delete those you don't use very often. Take this opportunity to have a bit of clear out. I appreciate that I'm explaining my process in relation to iPhone but it's my understanding that other devices work in a similar way. Set up one folder for all of your apps. If you're on the iPhone then you can search for apps by swiping down and just type in the name of the app so therefore having everything all in the same folder makes a lot of sense to me rather than having various folders for different types of apps. The next step is a slightly scary one for some people but when you think it through, really it's a no-brainer. And that is turn notifications off. Don't have notifications on apps. It's not good for your mental health. I'll give you the example of your email app. For example, if you've got your Gmail app and this little red circle and it says, 5,000 because you've got 5,000 emails in there, that is not good for you to be constantly reminded of that. Turn notifications off on the vast majority of your apps. Don't have pings to your phone telling you something's happened and you need to look at it. That goes for social media and everything. Get rid of these notifications, just use your phone on your terms. If you have a look at the companion video you'll see that there are one or two apps that I have little reminders on but next to nothing. Also any software updates I need to do on my watch or on my phone I get notified of those but that's it. No other notifications. To see the notifications if have like me one or two, in your apps folder if you're on an iPhone, all you need to do is a long press. And again, you'll see this on the video companion to this podcast episode. Outside of that apps folder, I suggest you have no more than five to seven apps. I have my frequently used apps outside of the apps folder. For example, Slack I use regularly to communicate with team members and accountability partners and that sort of thing. I also have Notability outside of my apps folder because it is an app that I use every single day for taking notes and annotating PDFs and that sort of thing. Finally, I have Asana, my project management app outside of my apps folder as well and that's it. That's how I set my phone up for maximum productivity. And I think the key thing to remember is use your phone on your terms. Ultimately if you're doing that you're going to be spending more time, more focused time on the work you're doing which has deadlines and then your phone can be something you do during your break. For example if you use the Pomodoro technique to get your work done, and I've talked about that in a previous episode. But when you take your Pomodoro break you can look at your phone and you're doing so on your terms. Try not to have your phone in your eye line. Stick it in your bag, hide it, turn it over. Even though you don't have the distraction of notifications you still might want to pick it up when you're not supposed to be looking at it. It's all about self-control. You might be thinking Martine; I'm an adult, I don't have to do this sort of thing. I'll do what I like. The point of me explaining to you how to maximize your phone for absolute efficiency is that you're probably also the person who is saying, "Martine I don't have time to do stuff." 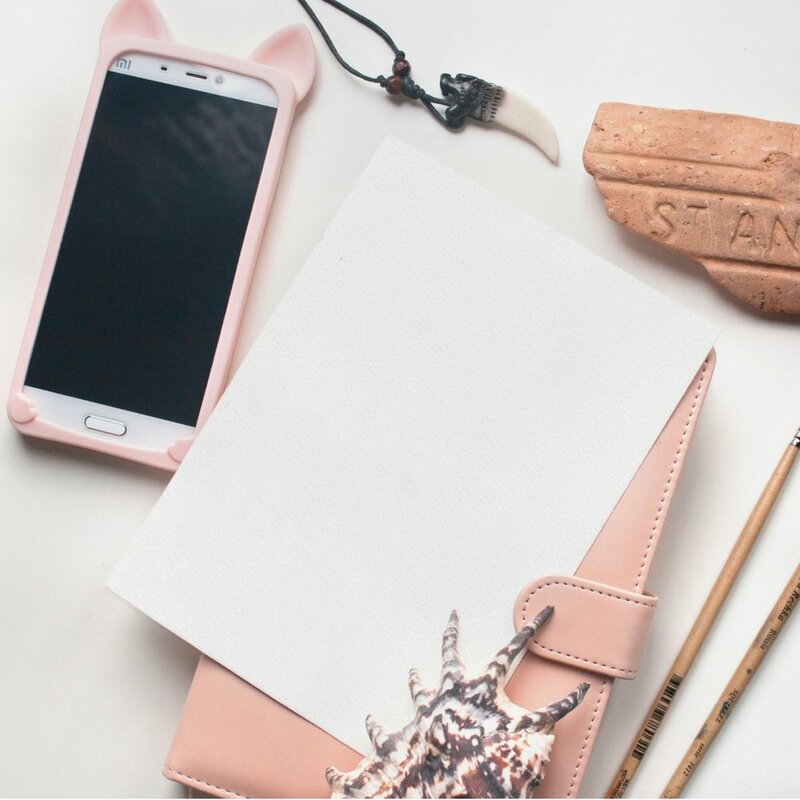 Trust me when I say if you can take charge of your mobile device you are going to generate more time to focus on the stuff you really want to get done. Why don't you give it a go? Have a look at the video. Try it for a week. Try it for a month if you're feeling brave. And then let me know how you get on. I would love to hear from you. If you'd like to chat about mobile phone setup and productivity for teachers generally then one of the best places to do that is in our closed Facebook group called The Teaching Space Staffroom. If you hop over to Facebook, search for The Teaching Space Staffroom, ask to join the group and I will approve you as soon as possible. And once you're in, let's talk teacher productivity. As I said at the start, it's one of my favourite subjects. Go on. Give it a try. You know you want to have a minimalist mobile phone, I can just feel it. Right. So that's all for me in today's short and sweet episode. I really hope you enjoyed it. Don't forget to check out the companion video, and join us in the closed Facebook group The Teaching Space Staffroom. Thank you so much for listening and I hope you'll join me next time.